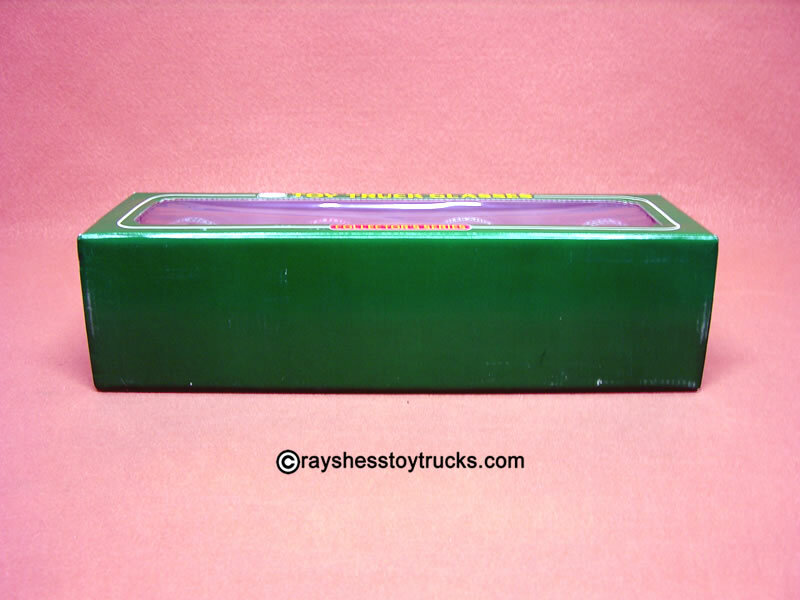 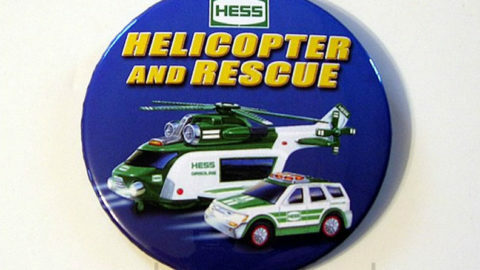 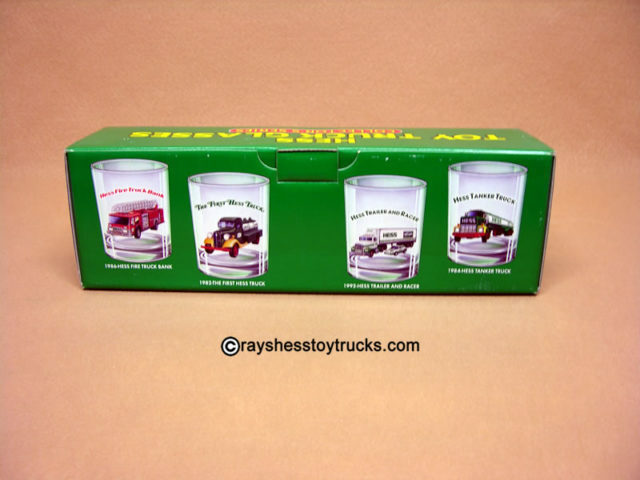 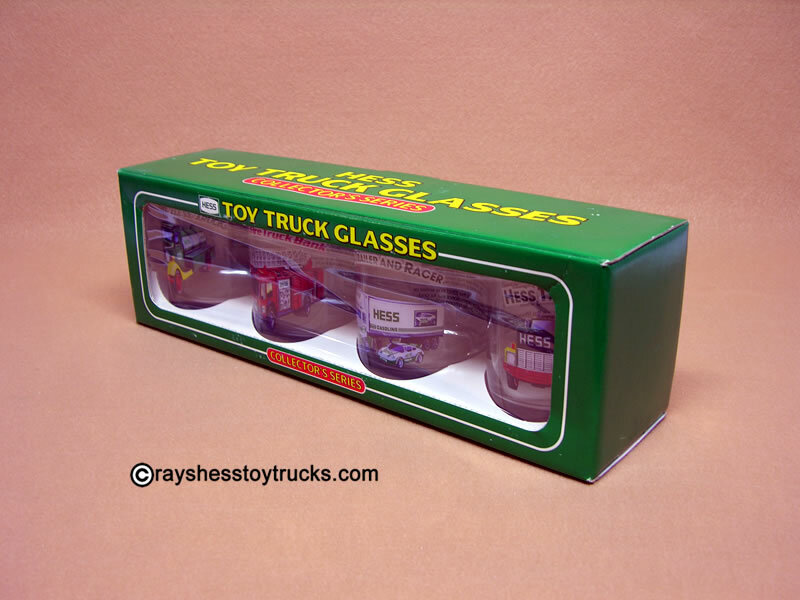 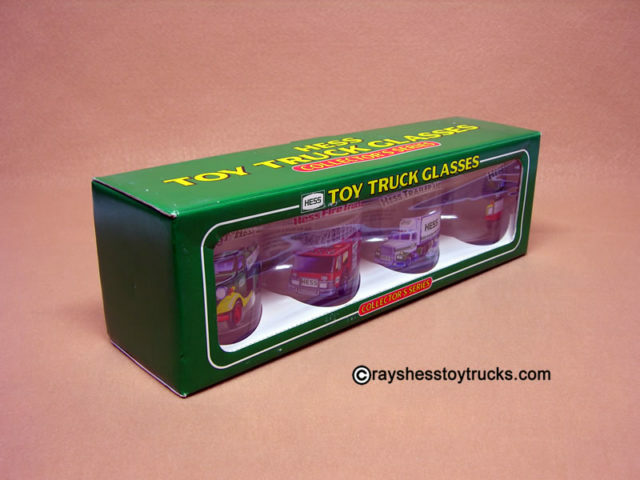 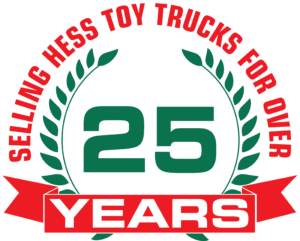 Home / Hess Toy Truck Specials / 1996 Hess Gift Box Glass Set – HALF PRICE SALE! Rare 1996 Hess Gift Box Set of 4 Hess Glasses (with rare insert). 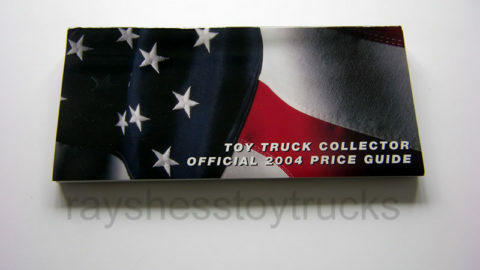 Not Available to the public. 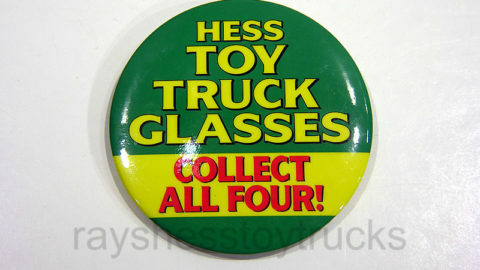 Hess introduced a set of 4 collectible glasses in 1996 to be sold at the stations calling them the “Collectors Series”. 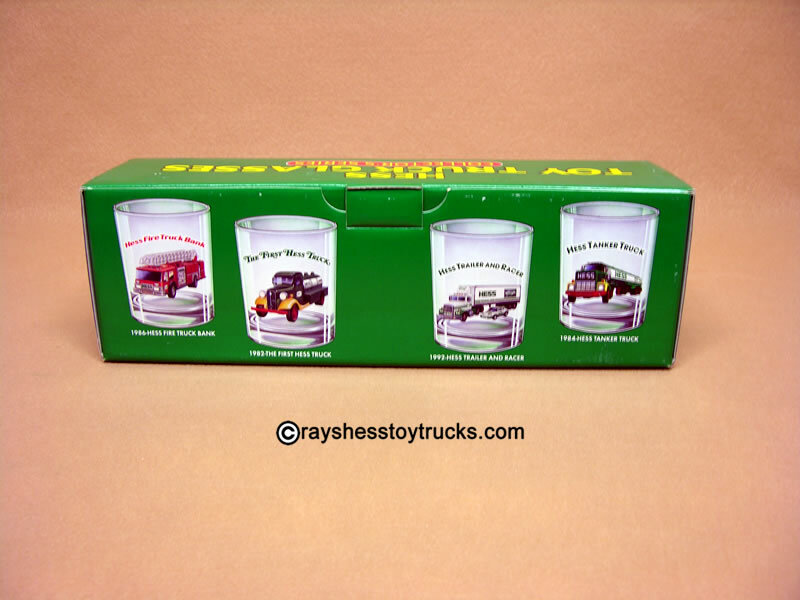 A new glass came out about every 2 months. 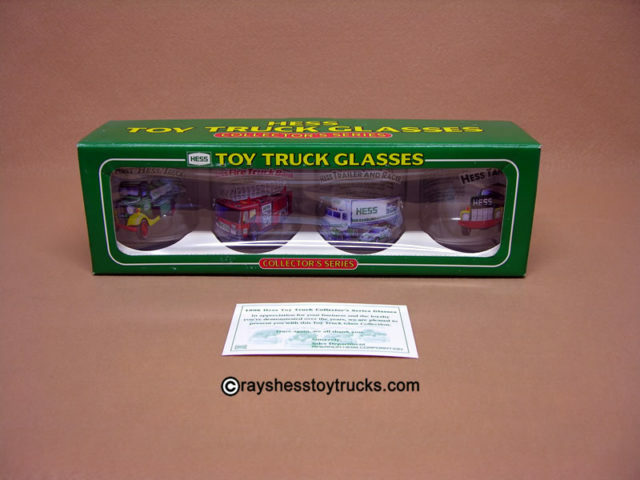 The front of each glass has a picture of the truck and on the back of the glass it has a detailed description of the truck. The trucks pictured on the glasses are the 1984, 1985, 1986 & 1992. 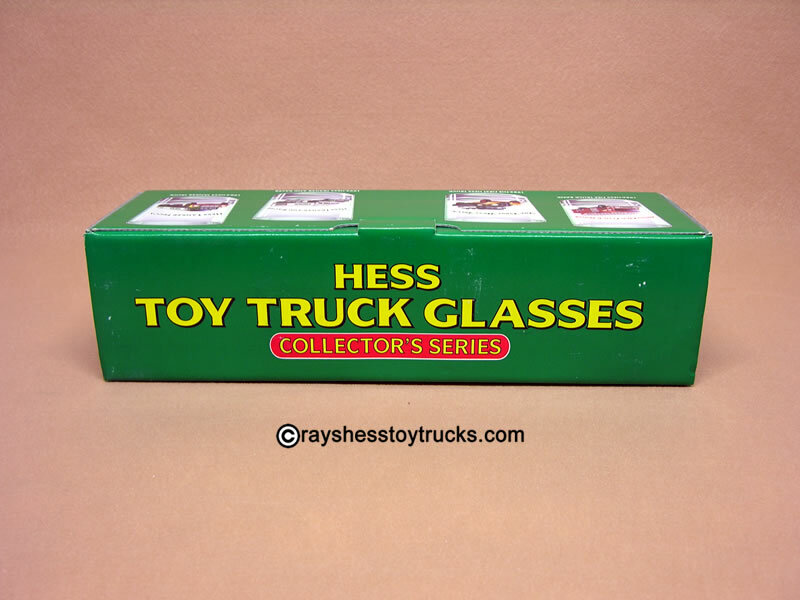 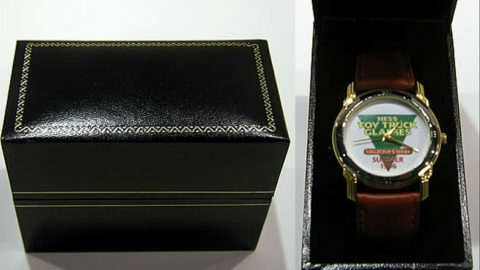 What makes this glass set so valuable is that in 1996 Hess gave their executives a special set of these glasses that came in a beautiful display gift box that included a rare insert card which is very different from the one that was given out at the stations. 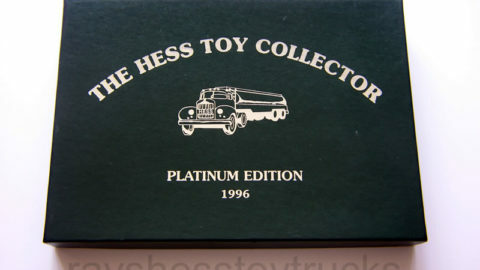 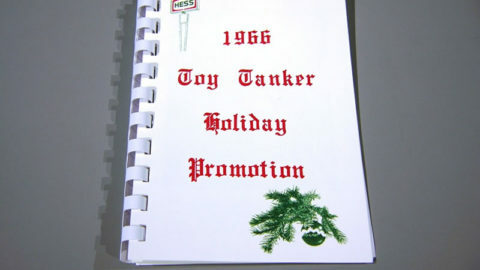 A true must have for the avid Hess collector!